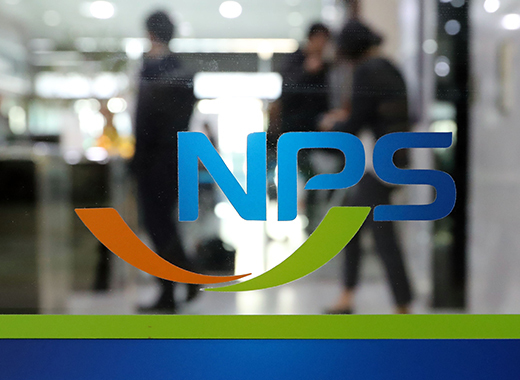 Korea’s largest institutional investor National Pension Service (NPS) increased its holdings in chemical and pharmaceutical companies in the first quarter while it shed shares in semiconductor equipment makers and automotive parts suppliers, data showed. According to Seoul-based financial data provider FnGuide on Tuesday, the NPS owned a 5 percent or higher stake in a total of 217 listed companies as of March 31, 2019. The institutional investor upped holdings in 100 companies in the first quarter, of which it raised its stake to 5 percent or above for the first time in 10 companies. The NPS’s major investment focus in the first quarter was on chemical and pharmaceutical stocks as it chose to bet on improved performance of the related companies amid recovery in global demand and stabilization of raw material prices. NPS increased its holdings in total 12 chemical makers including Hyosung Advanced Materials Corp. (from 8.17 percent to 11.94 percent). It owned 5 percent or higher stake in total 9 pharmaceutical companies including Qurient Co. and JW Life Science Corp. that it bumped up its holdings to above 5 percent for the first time. NPS also increased its holding in Hanall BioPharma Co. from 5.04 percent to 7.12 percent, in Ilyang Pharmaceutical Co. from 7.07 percent to 8.29 percent, and in Daewoong Pharmaceutical Co. from 8.20 percent to 9.27 percent over the cited period. The pension fund, trimmed its holdings in 86 companies that it held a 5 percent or higher stake. Of them, it reduced its holdings in 15 companies to below 5 percent. The NPS lowered its holdings in eight semiconductor and related equipment companies including Eugene Technology Co. (from 5.05 percent to below 5 percent), EO Technics Co. (from 5.07 percent to below 5 percent), and DNF Co. (from 5.26 percent to below 5 percent). From the automotive parts sector, it sold off its stakes in Woory Industrial Co. and Sejong Industrial Co. to below 5 percent. Among large-cap companies, the NPS raised its holdings in LG Chem Ltd. (from 9.74 percent to 9.99 percent), Celltrion Inc. (from 5.04 percent to 6.07 percent), Posco (from 10.72 percent to 10.79 percent), LG Household & Healthcare Ltd. (from 6.15 percent to 7.16 percent), Hyundai Mobis Co. (from 9.02 percent to 10.10 percent), and Naver Corp. (from 10.00 percent to 10.10 percent). Its holdings in Samsung Electronics Co. and SK Hynix Inc. remained unchanged at 10.00 percent and 9.10 percent, respectively. It held 8.27 percent in Hyundai Motor Co., also the same as before.